A comprehensive Ophthalmologist who has been in practice with Hudson Valley Eye Associates for the past 12 years, Dr. Jean R. Tostanoski sees patients of all ages and varied eye problems. 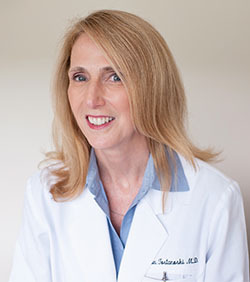 Dr. Tostanoski received her undergraduate degree with honors from Yale University and completed medical school at the Albert Einstein College of Medicine. After completing an internship in Internal Medicine at Norwalk Hospital in Connecticut, she returned to the Albert Einstein College of Medicine and Bronx-Lebanon Hospital where she completed three years of Ophthalmology residency and served as Chief Resident for her final year. Dr. Tostanoski then went on to a fellowship in Cornea and Refractive Surgery at the Manhattan Eye, Ear and Throat Hospital where she participated in some of the earliest studies on the excimer laser and LASIK. Subsequently, she was invited to join the teaching staff of that institution, instructing other residents on techniques of cataract and refractive surgery. At Hudson Valley Eye Associates, Dr. Tostanoski continues to focus on corneal diseases and refractive surgery. She performs a variety of surgical procedures including advanced cataract surgery, wavefront-guided LASIK, photorefractive keratectomy, corneal transplant, Botox and glaucoma laser surgery. She performed the first corneal transplant at Phelps Memorial Hospital Center in Sleepy Hollow, NY. Dr. Tostanoski is board certified from the American Board of Ophthalmology and is a member of the American Academy of Ophthalmology and the International Society of Refractive Surgeons. She is currently Chief of Ophthalmology at Phelps Memorial Hospital. Outside of professional practice and commitments, Dr. Tostanoski, with her husband, is busy raising three young children. 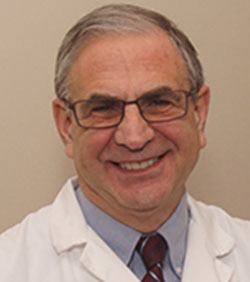 A comprehensive general Ophthalmologist, Dr. Howard Phillips has practiced in Westchester since 1982. He began his medical education at New York University Medical School in 1973 where, upon graduation, he was inducted into the Medical Honor Society (Alpha Omega Alpha). Dr. Phillips then did an internship in Internal Medicine at The Albert Einstein/Bronx Municipal Hospitals from 1977-78. A residency in Ophthalmology, from 1978-81, including serving at Chief Resident for the last year, was performed at NYU Medical Center, the Manhattan V.A. Hospital and Bellevue Hospital. From 1981-82, he did a fellowship in Medical Retina at Bellevue Hospital under the tutelage of Dr. Ronald Carr. Following graduation, he spent several years teaching residents and fellows at NYU. In 1982, Dr. Phillips joined Dr. Robert Bauer to form Hudson Valley Eye Associates. Phelps Hospital has been his main hospital affiliation where he has served as a member and Secretary of the Medical Board. 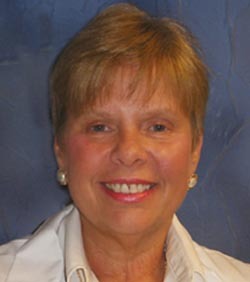 Dr. Phillips was Chief of Ophthalmology at Phelps from 1992-2006. Board certified by the American Board of Ophthalmology, Dr. Phillips is a member of the New York State Medical Society, the Westchester Academy of Medicine, Ophthalmology Section, and the American Academy of Ophthalmology. 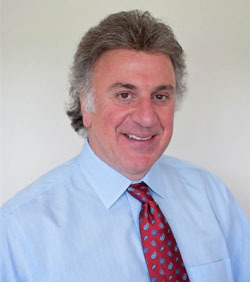 In 2001, 2006 and 2007, Dr. Phillips was named as a Westchester Top Doctor in Westchester and Castle Connolly magazines. Edmund P. Farris, M .D. is a Board Certified Ophthalmologist and glaucoma specialist who has been in practice since 1997. Dr. Farris received his undergraduate degree from Northwestern University and his medical degree from The Medical College of Ohio, where he was named to the Alpha Omega Alpha Medical Honor Society. He then completed his ophthalmology residency at New York Medical College where he served as chief resident. This was followed by a glaucoma fellowship at The Mount Sinai School of Medicine. Dr. Farris' practice is focused on glaucoma subspecialty work, but he welcomes general ophthalmology patients as well. He is proud to offer his patients the best in the diagnosis and management of all types of glaucoma and associated ocular conditions, and has performed thousands of procedures during his 20 years of practice. In addition, Dr. Farris performs Intense Pulse Light (IPL) therapy for dry eye and numerous cosmetic applications, and has performed Botox injections for facial rejuvenation for over 15 years. Dr. Farris, a Fellow of The American Academy of Ophthalmology and The American Glaucoma Society, has served as the Director of Glaucoma Services at Metropolitan Hospital, Bellevue Hospital and the Manhattan VA. He holds the title of Associate Clinical Professor of Ophthalmology at New York University, where he has helped train over one hundred resident ophthalmologists. Dr. Farris has lectured extensively throughout the country on numerous topics related to glaucoma and his scientific papers have been published in national and international journals. He is proud to have been named among the Best Doctors in America as well as one of America's Top Ophthalmologists on numerous occasions. He is a consultant to major ophthalmic pharmaceutical companies, helping to further advance the medical and surgical treatment of glaucoma. Dr Lundin was inspired to pursue Ophthalmology at a young age after observing an excellent doctor treat her baby brother for a ruptured globe. She earned her medical degree from Upstate Medical University in Syracuse NY, followed by an Internal Medicine internship at New York Medical College in Westchester County, and an Ophthalmology residency at St. Luke's Roosevelt Hospital of the Columbia School of Physicians and Surgeons in New York City. As a board-certified ophthalmologist with over three decades of experience, Dr. Lundin is devoted to providing excellent care in a comfortable environment. She believes strongly in treating each patient with the same respect and dignity as a valued member of her family. Dr. Lundin enjoys outdoor activities such as hiking, biking, and swimming, as well as reading medical and non-medical books. She is also involved in community service through her church’s social ministries. Dr. Lundin is happy and grateful to be practicing medicine, again, at Hudson Valley Eye Associates.